When you’re launching a new property in the competitive field of ultra high-end resorts, how do you stand out and impress your wealthy clientele? Americhip partnered with Patron to design and produce a best in class, elegant Video Welcome Kit that served as a personal invite to its latest resort. 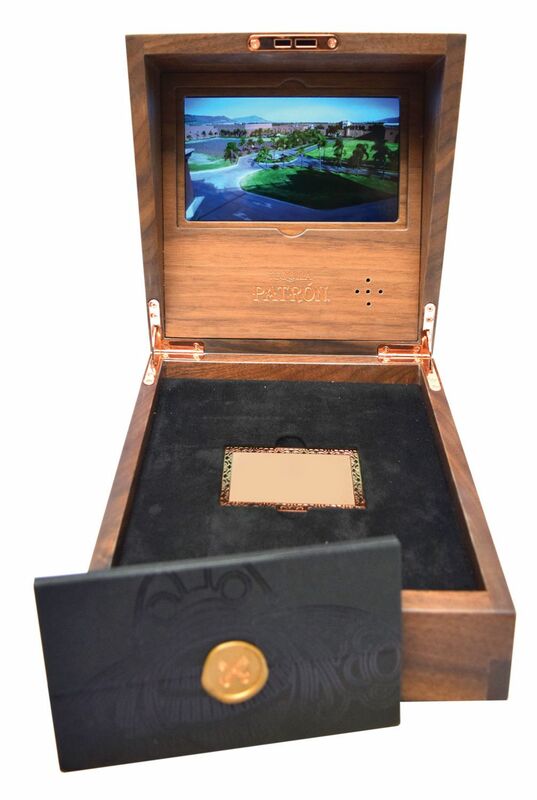 Our sophisticated design included a hand-crafted dark cherry oak box with copper fixtures, golden etching throughout and a velvet lining cradling the recipient’s personal resort pass. 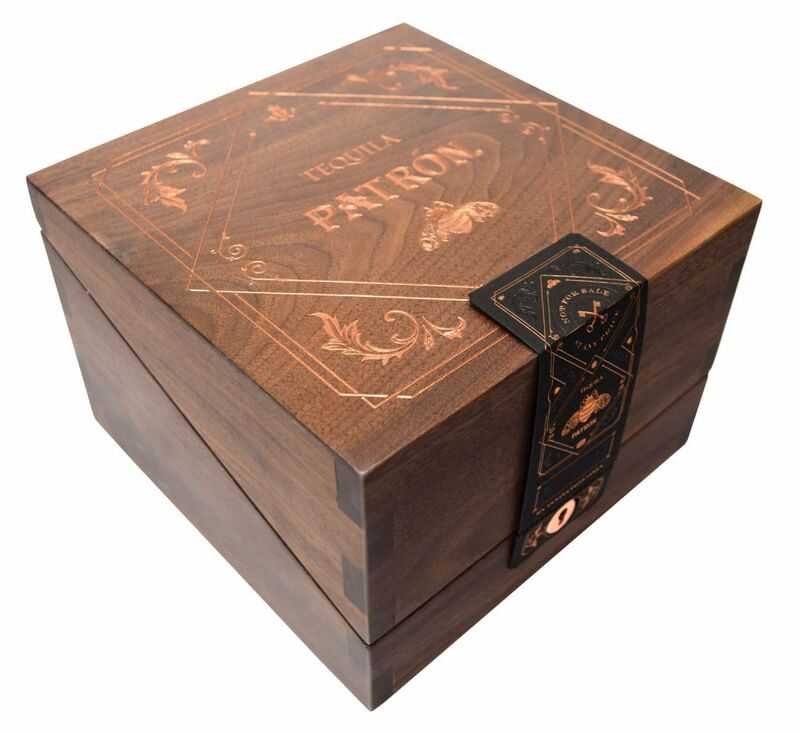 A video of Patron’s impressive history and practices triggers as soon as the box is opened. When you need to impress, choose Americhip.